One of the world’s leading ice experts has predicted the final collapse of Arctic sea ice in summer months within four years. In what he calls a “global disaster” now unfolding in northern latitudes as the sea area that freezes and melts each year shrinks to its lowest extent ever recorded, Prof Peter Wadhams of Cambridge University calls for “urgent” consideration of new ideas to reduce global temperatures. These include reflecting the sun’s rays back into space, making clouds whiter and seeding the ocean with minerals to absorb more CO2. Wadhams has spent many years collecting ice thickness data from submarines passing below the arctic ocean. 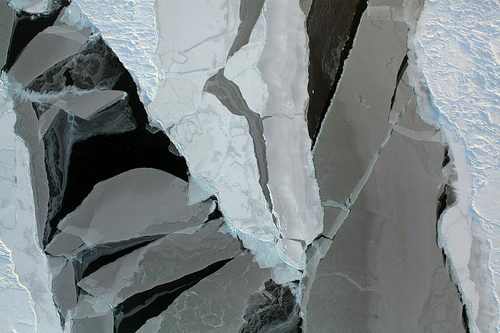 He predicted the imminent break-up of sea ice in summer months in 2007, when the previous lowest extent of 4.17 million square kilometres was set. This year, it has unexpectedly plunged a further 500,000 sq km to less than 3.5m sq km. “I have been predicting [the collapse of sea ice in summer months] for many years. The main cause is simply global warming: as the climate has warmed there has been less ice growth during the winter and more ice melt during the summer. “At first this didn’t [get] noticed; the summer ice limits slowly shrank back, at a rate which suggested that the ice would last another 50 years or so. But in the end the summer melt overtook the winter growth such that the entire ice sheet melts or breaks up during the summer months. Next post: Cities Could Triple In Size By 2030 – Is Urbanization A Good Thing?